A great option for a dorm room, youth bedroom, or spare guest space, this futon offers casual style and great function. A black frame pairs with the black microfiber fabric for a sleek casual appearance and durability. The sofa back folds down to easily transform any room into a sleeping space. The Futonz To Go Hamilton Futon with Curved Arms by Primo International at Furniture Fair - North Carolina in the Jacksonville, Greenville, Goldsboro, New Bern, Rocky Mount, Wilmington NC area. Product availability may vary. Contact us for the most current availability on this product. Pull-Out Mattress 6" Thick and made with bonnell coils for durability and support. The fun and functional, Funtonz To Go collection will have homeowners ready and excited for stay over guests. A casual sofa collection made up of fun styled futons, each piece in this collection is designed to convert from a sofa to a bed with almost no strain at all. Whether you are seeking practical furniture for a small space or dorm or want an easy-to-store sofa for stay over guests, this collection's futons will offer the function you seek. The Futonz To Go collection is a great option if you are looking for furniture in the Jacksonville, Greenville, Goldsboro, New Bern, Rocky Mount, Wilmington NC area. 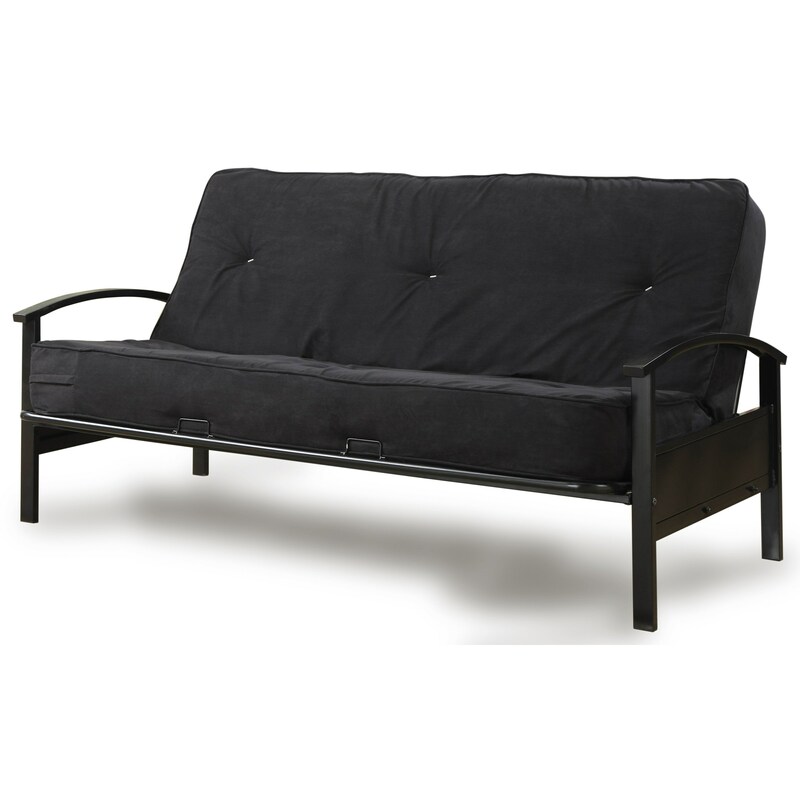 Browse other items in the Futonz To Go collection from Furniture Fair - North Carolina in the Jacksonville, Greenville, Goldsboro, New Bern, Rocky Mount, Wilmington NC area.